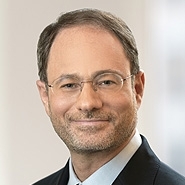 Partner Geoffrey Potter was selected as The American Lawyer’s ‘Litigator of the Week’ for his role in successfully representing the manufacturer of 5-Hour ENERGY in an ongoing lawsuit against more than 100 individuals and businesses accused of engaging in the manufacture and sale of millions of counterfeit bottles of the company’s energy supplement. On November 28, 2016, a San Jose federal jury returned a guilty verdict against two primary players in the counterfeiting ring. Six other defendants have pled guilty. The criminal convictions are the capstone of a case that began four years ago with a customer tip. In securing the convictions, the U.S. Attorney’s Office relied heavily on the foundation that Geoffrey and the Patterson Belknap team laid in the civil action that resulted in a judgment of more than $20 million.